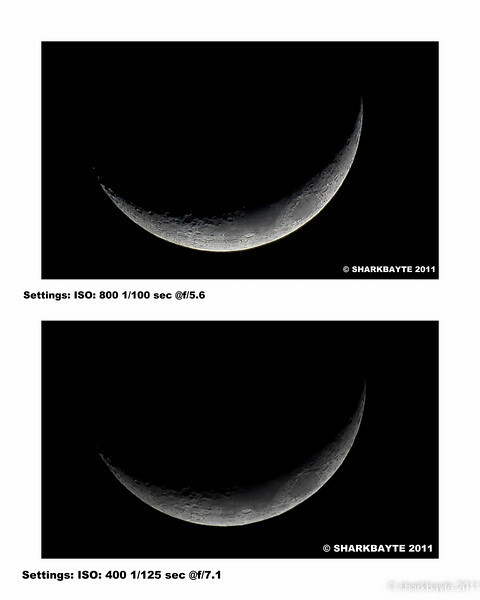 Moon shots of different phases, days and months. Hoping to make a calendar using the different phases. These are just guide lines I use. I do stray away from these from time to time. Such as today’s picture. I wrote the settings on the picture. I would have thought that the bottom moon would have shown more details in the craters but it looks like the top moon picture seems to have a tad more details. So after I get the settings right on the camera I aim and shoot. That’s it! Then I crop the photos to the size I want, very little tweaking if any. Hope this helped some.